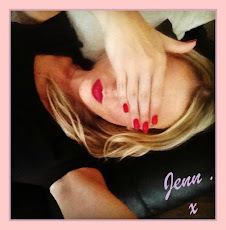 I've loved reading what other people got for Christmas -I'm just nosey really! I did end up adding things to a list of products I want to buy in the sales too, it's dangerous reading, but oh so good! 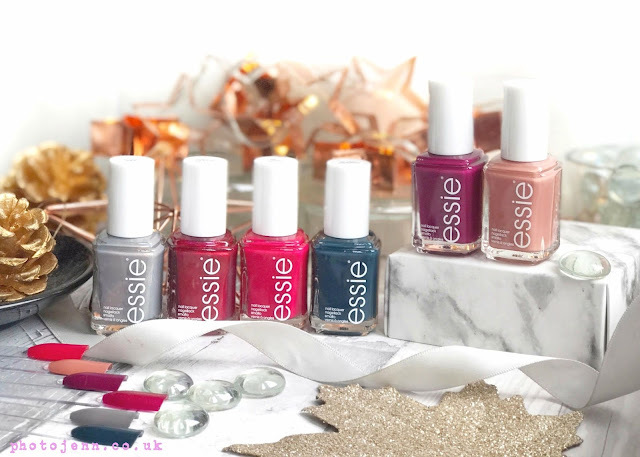 If you think about it, it's quite strange how we all get totally spoilt with new things at Christmas but it just isn't enough, we feel the need to buy more just a few days afterwards! I made the mistake of going to Westfield the year it opened on Boxing day, it was horrible. There were so many people and loads of tourists taking pictures everywhere. It's like.. 'can you not?' It's mighty inconvenient on the busiest shopping day of the year! I've vowed to never do sale shopping on boxing day again, at least not in the shops anyway. I much prefer sale shopping from the comfort of my own living room! I thought I'd share with you a few of the lovely bits I got from my friends and family this year. 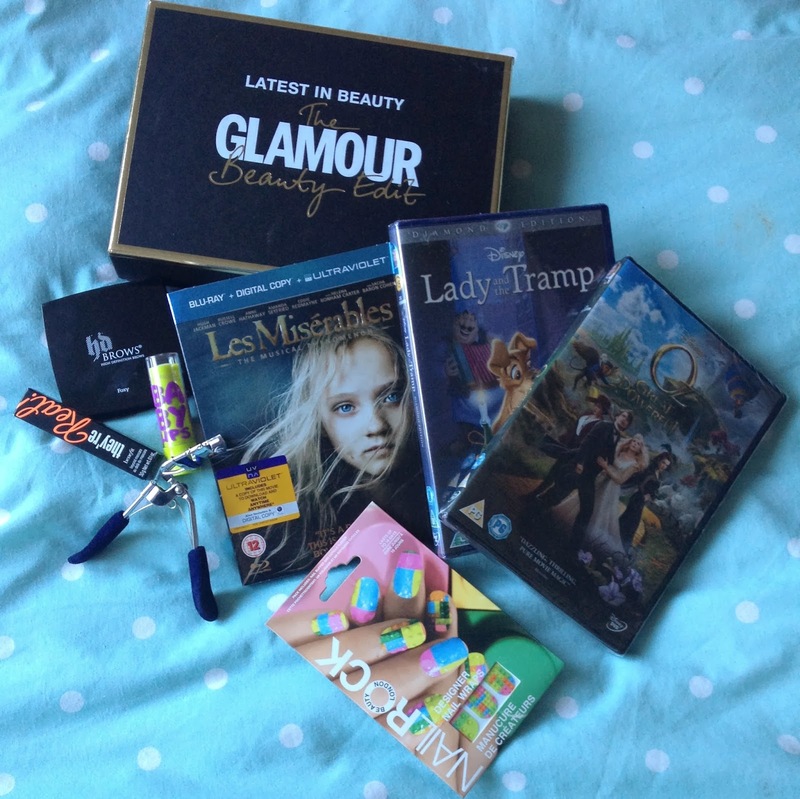 I'm so happy with the presents I got, it's the one year that everyone has got everything SO right! Not one unwanted present in sight! hooray! 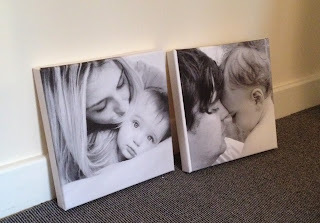 From Sam's family we got some lovely canvases of us with Mason. I love them and I can't wait to put them up! My bestie got me spot on with the most incredible shower gel I've ever smelt! I'm sure you'll all have heard about Snow Fairy from Lush, it's so worth the hype! I actually called out to Sam while in the shower 'Sam! I Smell AMAZING!' Turns out my friend did the same to her partner! We're so alike it's scary, you can tell we grew up together! It's so sweet and gorgeous! I'm actually a bit sad that it's limited edition and I can't have it on tap forever! Luckily you don't have to use lots of it to get a good lather so I can make it last a while at least! She also got me a giant version of my favourite pick and mix sweet AWESOME! and a bath bomb. I must remember there's a best before date with the Lush goodies, I've been burnt before! (not literally burnt.. you know what I mean!) It's a great excuse to make some 'me time' to have a relaxing bath! 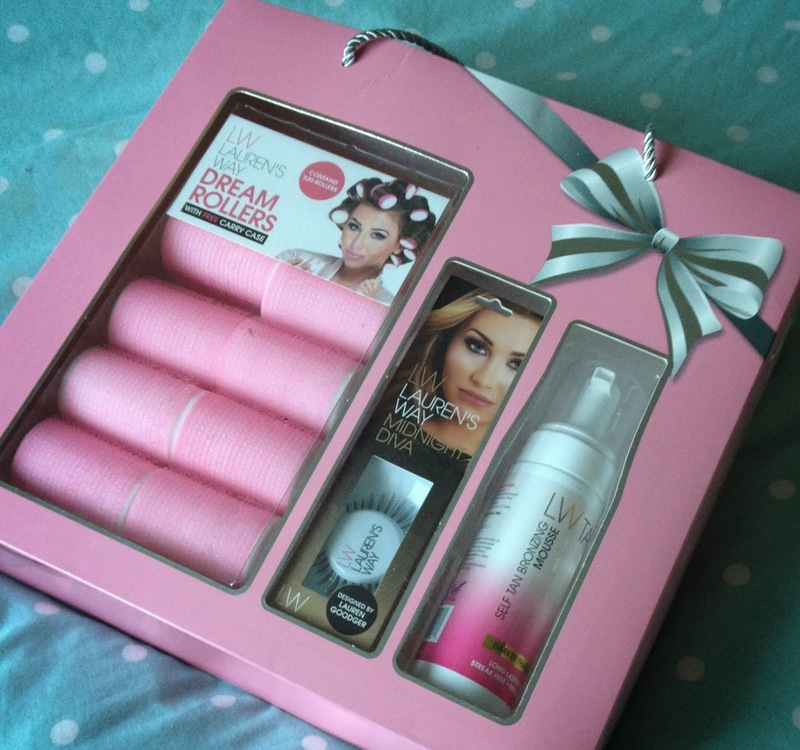 My parents got me a set from Laurens Way with the tan that I've been dying to try, darker than dark. I've heard from certain tanning addicts that it's really impressive. I have sleep rollers already but it's always good to have a few more! and of course I'll always use a pair of new lashes! After a bit of drama with receiving a cracked palette in the post my boyfriend eventually got me the Naked 3 and I can honestly say I don't need to buy another eyeshadow again (ok a bit drastic, calm down Jenn! 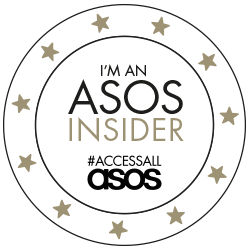 -but it's very good) He got me a lovely underwear set by Caprice and a HD Brows bronzer in a bag signed by Amy Childs -he was at the ideal home exhibition while she was there and got it signed for me, of course it meant he got to meet her too! 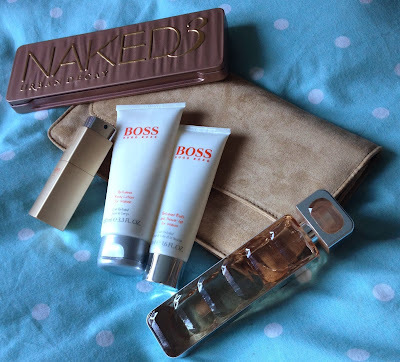 My parents also got me a Hugo Boss Orange set which came with a clutch bag and a little atomiser as well as the usual body bits. I usually think it's better to get a bigger bottle of perfume than a gift set but I really do love this one! Of course there had to be a Benefit product too. 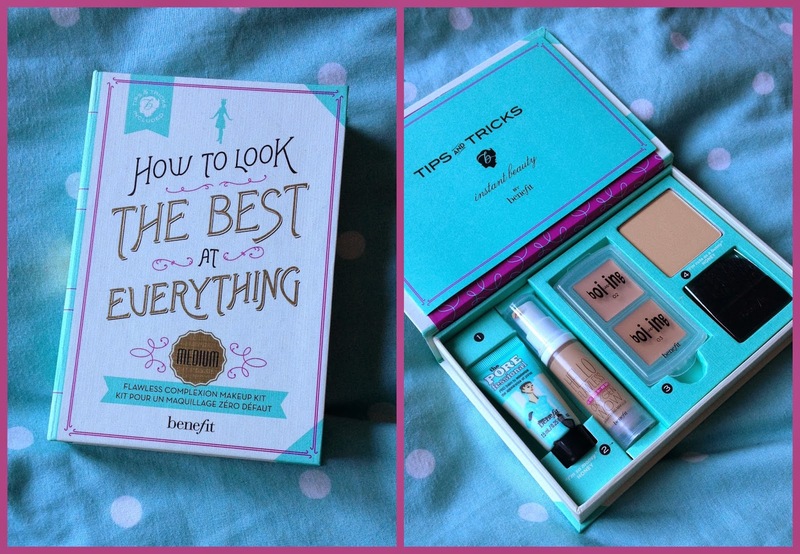 'How to look the best at everything' was on my list so I get to try out a few foundations and concealers that I've not tried before. I love the box too, the colour is very me! I'm really looking forward to having a play with this kit. I'm already very impressed with the powder. My brother and his girlfriend know me so well, they got me shoes! Boots to be exact, boots with a great big heel! They did excellently! You won't believe me but they are really comfy too! My bestie and lovely boyfriend both fed my Yankee candle addiction. There are so many Christmas scented wax tarts I've had to put some in a box to get out next Christmas. The black coconut jar smells soooo nice! A lovely friend of mine got me some nail wraps and the Latest in Beauty Glamour Beauty Box which has some amazing bits in it. The much loved 'They're Real' mascara by Benefit, some great eyelash curlers and my favourite of the lot has to be the HD brows brow kit, I don't think I'll use a brow pencil again! This kit is great! The pigmentation is incredible and it does a great job of giving my brows more definition. I've been meaning to get 'Lady and the Tramp' to add to my Disney collection so I was really pleased to find my boyfriend had got it for me. I also received 'Les Miserables' on Blue Ray and 'Oz, the great and powerful', 2 of my favourite films of this year. 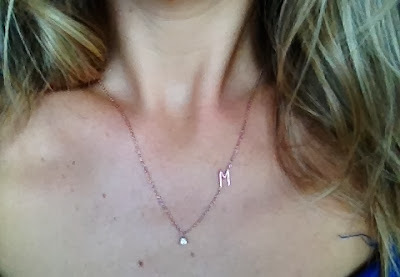 Mason got me a lovely rose gold necklace with an M on it. I love how it has the initial on the chain rather than hanging on a pendant. It makes it a little bit different. So that's a peek at a few of the bits I received. I love everything and I've been really lucky, not just with presents but with the support from friends and family the last few months. Everything is looking up and I've had a really lovely Christmas. I'm really looking forward to 2014! I can't believe Christmas is so soon! Where has this year gone?! I've said this a few times but it has wizzed by! I've seen a couple of Christmas tags going around and I thought I'd combine a some of the questions to answer. 3. What’s your favourite colour scheme for decorating the tree? My tree is FAR from co-ordinated. 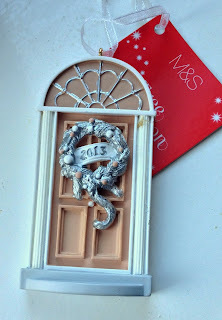 I buy a new decoration each year that means something to us. 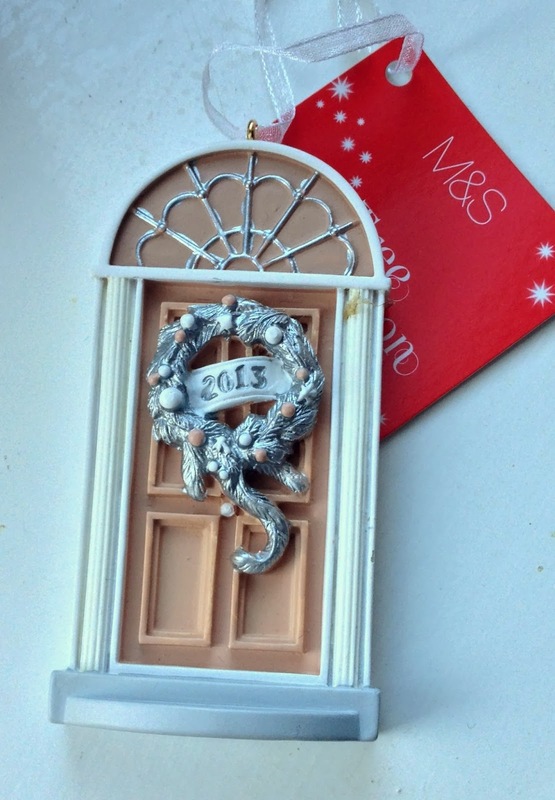 Last year Mason was born so we bought a bauble with his name on it, this year we moved house so we got a little door with the year on it. I have decorations from years back on there. It may not match but it tells a story. 4. Do you enjoy giving or receiving gifts? I love receiving gifts, who doesn't? But I really look forward to giving presents. Remember the kid in the John Lewis ad who was so excited to give his parents their presents? That's me. I think I've done pretty well on a few presents this year and I can't wait to see the look on a few peoples face when they open what I've given them! I'd rather not. I'm really not a fan of mince pies. 6. Who do you spend your Christmas day with? My family. I can't imagine spending Christmas day with just one other person, surely you'd get bored and it would be like any other day? Christmas is about being around lots of people and enjoying everyones company. This year I'm waking up with Sam and Mason then we're heading over to my parents and on Boxing day we'll be at Sam's family's house. I can't wait! My Mum goes all-out. She does a pretty big Sunday roast every week so it's no big challenge for her. She is actually Wonder Woman. Turkey, Roast potatoes, carrots, parsnips, broccoli, cauliflower cheese, stuffing, and of course it wouldn't be Christmas without pigs in blankets! Then she always gets in enough desserts to feed us for weeks! 8. Do you enjoy shopping for your loved one's gifts? I actually do. I don't like to get anyone things off their list. I like to put some thought into it and come up with ideas on my own. I'm confident I'm a pretty amazing present buyer. 9. Have you ever received a gift that you disliked and pretended you liked it? Yes! Over the last few years I've had a few people get me things they thought I'd like when it was really stuff they'd like for themselves. One year I was given a popcorn maker even though because of medical conditions I can't eat popcorn! I ended up making sure I always gave them a list or asked them to just get me vouchers! 10. What's your favourite Christmas song? 'Merry Christmas Everyone' by Shakin Stevens, don't judge me. And it was Christmas number 1 the year I was born don't ya know! 11. What's your favourite Christmas film? It has to be Muppets Christmas Carol! I watch it every year while wrapping presents. I'm such a kid but It's such a lovely film! 12. Open presents before or after lunch? Before! Before Breakfast even! Get up, all in PJ's around the tree opening the presents together as a family. Me and my brothers always open our presents together. One year I was out at a boyfriends family for Christmas and I came to mine that evening and they still hadn't opened their presents as they were waiting for me. I was so impressed! 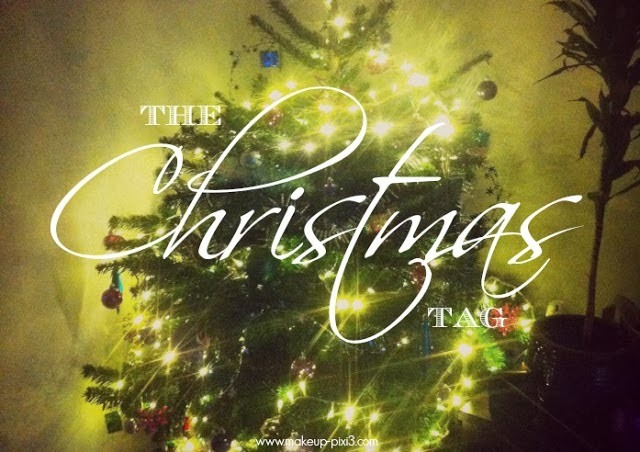 Send me your link if you've done a Christmas Tag too. I love hearing about everyones Christmas traditions! 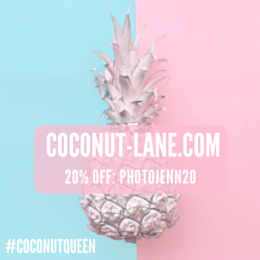 We've all been there, online shopping for a few little bits as part of a present but you actually end up with more for yourself! I bought this for a friend girl I used to know and I knew she wouldn't actually appreciate it so I kept it for myself. I'm glad I did as I love it. Dutch Ya just love OPI is from the 2012 Holland collection and is a red toned purple with a slight coppery shimmer to it. As I find with OPI polishes the formula is great, 1 coat is enough for a good even coverage but 2 coats is perfect. I am loving plum/purple shades this season and OPI is slowly becoming one of my favourite nail polish brands. I'm tempted to treat myself to a few new shades after Christmas.